All of that changes today, however. After nine years of operation, Universal Studios Singapore is getting some desperately-needed love and attention, seeing two new “highly-themed and immersive” lands arriving sometime over the next few years – the first time that the park’s opening-day lineup will see a change. 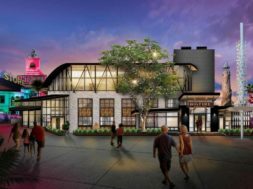 What’s more, these new areas will place the theme park squarely at the forefront of Universal Parks and Resorts’s worldwide push that has sent its attendance soaring and its profitability skyrocketing. And, at this rate, as all four locations’ contents around the globe will now be ever more in line with one another, seeing what Universal has in mind for Asia (both in China and Singapore) just may give us a hint as to what Universal Orlando Resort’s (near) future will look like. 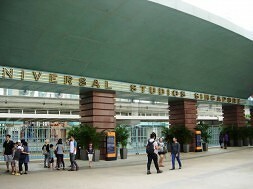 With the massive success of The Wizarding World of Harry Potter in July 2014 helping to solidify Universal Studios Japan’s status as Universal’s most-visited theme park in the world, and with Universal opting to buy the entire location outright in February 2017, another new development was needed in order to keep USJ’s quickly-improving reputation on the uptick. The answer? The Minions, of course, who exploded this decade (along with their parent franchise, Despicable Me) to become one of the company’s most lucrative properties across all media. 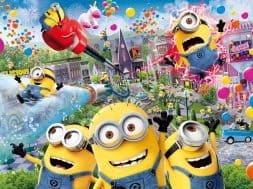 Universal Studios Singapore will now be getting an import of this Minion mecca, replacing the Madagascar land, which is themed to the long-lived DreamWorks property (yes, six years before Universal purchased the animation studio) and which already contains two attractions, perhaps making it a perfect fit. Now, USS will only be the second spot in the world to feature Minion Park, helping to greatly elevate its roster of experiences and underscoring just how critical Despicable Me is to Universal’s entertainment portfolio, from film (Minions 2 will hit theaters in 2020, with Despicable Me 4 currently on track for sometime shortly thereafter) to parades (Universal Studios Japan deployed its intellectual-property-heavy Universal Spectacle Night Parade – Best of Hollywood in May 2018). 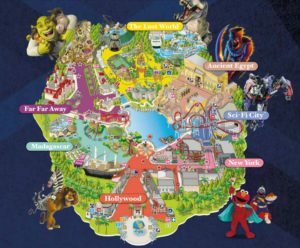 It’s not hard to imagine that Hollywood’s Super Silly Fun Land would be getting an upgrade to make it concurrent with its two Asian counterparts – although that leaves Orlando as the only location to not boast a Despicable Me land in the slightest (even though it originated the motion-simulator ride that has since gone on to be the basis of all the others). 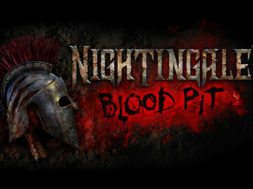 When Universal and Nintendo announced, in May 2015, that they had entered into a partnership to bring Super Mario Bros. to life in theme-park form, the fan community went haywire, imagining the possibilities of the videogame publisher’s nearly-limitless portfolio of titles being married with The Wizarding World of Harry Potter – Diagon Alley’s level of theming. 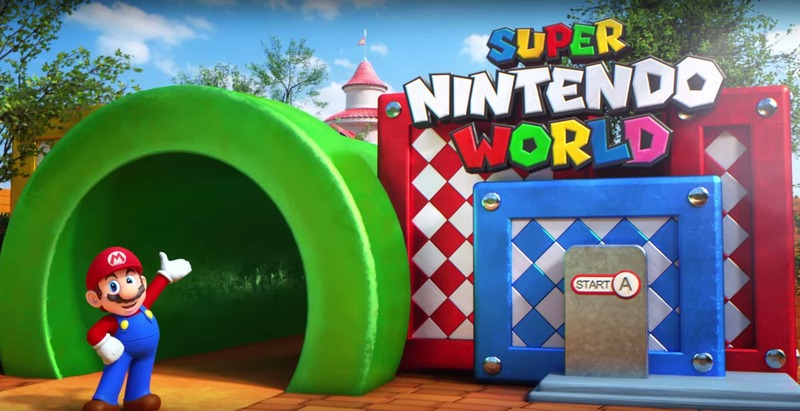 And while Super Nintendo World still has a whole year left before it debuts at Universal Studios Japan (again underscoring just how important that park has become to Universal’s global designs), interest has remained high, given that both Universal Studios Hollywood and Universal Orlando Resort will be receiving versions of the area in the years afterward – meaning everyone, everywhere would be getting the opportunity to experience some of that new Nintendo magic. 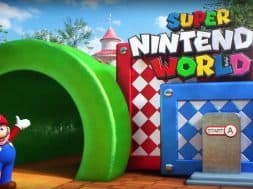 For our money, we’re most interested in seeing what other land at Universal Studios Singapore will be getting the axe in order to make room for this Nintendo arrival. Our best guess is Sci-Fi City, which is home to the problem-plagued Battlestar Galactica dueling roller coaster (it going the way of Islands of Adventure’s similar Dragon Challenge just may seem inevitable at this point) and the Storm Force Accelatron-esque Accelerator – attractions which seem ripe for replacement. Then again, there might not have to be any further closures – today’s press release made mention of Resorts World Sentosa getting approximately 50% more in the way of real estate, with Universal Studios Singapore (and S.E.A. Aquarium, the other headlining experience in the entertainment complex) specifically being cited as seeing a “substantial increase in size.” Might this mean that USS will be getting an actual expansion, much like Japan and (especially) Orlando have been as of late? If so, the amount of money being poured into the development speaks even more loudly than the selection of Minions and Nintendo as new members of the attraction roster. As just alluded to, this $4.5 billion expansion at Resorts World Sentosa is way bigger than just Universal’s second Asian theme park: S.E.A. Aquarium will be expanding to more than three times its present size (and, very likely, getting a brand-new name in the process); a new Waterfront Lifestyle Complex will be built, adding 1,100 additional hotel rooms; the Resorts World Theater will be replaced by something called Adventure Dining Playhouse; the entire waterfront promenade will be getting a facelift and a refresh of venues; and, finally, a new driverless transportation system will better connect the area to the rest of Singapore. 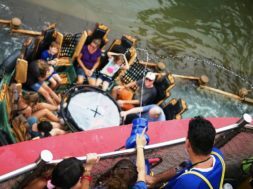 Suddenly, Universal Studios Singapore went from being the red-headed stepchild of Universal Parks and Resorts to, just possibly, its new poster child – and we can’t wait to see how the three other locations will be forced to step up their game in response. While no dates for either Minion Park or Super Nintendo World were offered, it was announced that all of these new Resorts World Sentosa projects would be completed in phases starting in 2020 and ending, roughly, in 2025. Excited about the future? So are we! Discuss it with 60,000+ other vacation-planners and Universal fans in our OI Community Facebook group. previous Stranger Things returning for Halloween Horror Nights 2019!